Relive your childhood- or your college years- with Fiasco. Like a crunchy bowl of cinnamon toast flavored cereal, this treat delivers sweet goodness with a smooth and creamy exhale. Enjoy this bottle of handcrafted e-liquid in your choice of four nicotine levels: 0mg, 6mg, 12mg, or 18mg. 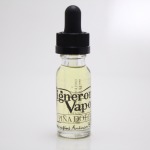 Try all of our popular Vigneron Vapory flavors.